2018 Aussie champion Patrick Robinson. 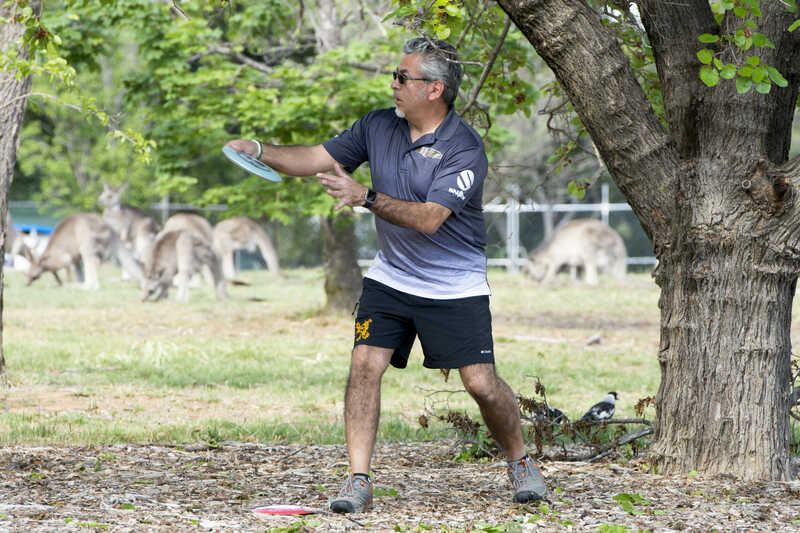 CANBERRA, Australia — Australia’s best disc golfer, Patty Robinson (62059), is a young man who has found his calling. After a tour of the West Coast of the USA that included the inaugural Team Worlds in Vancouver in 2016, finishing 8th in a PDGA Major and an East Coast tour the following year that included the 2017 USDGC, disc golf has taken a back seat in 2018. Instead, he’s been pursuing post graduate studies in intensive care nursing. 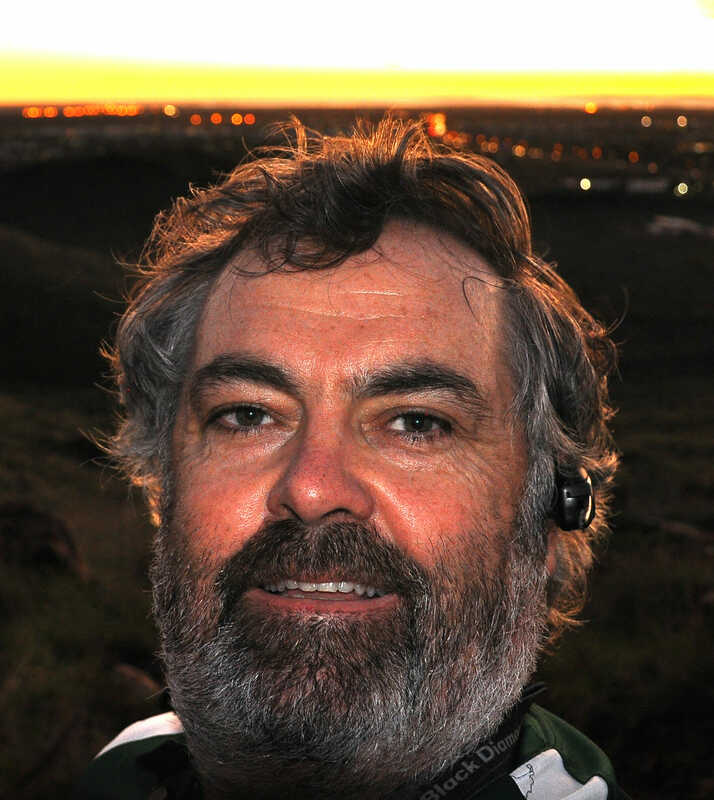 He arrived at Weston Park, Canberra, with moderate expectations for the Australian Disc Golf Championships. Up against Robinson was a pair of highly rated New Zealanders who’d made the 1500-mile journey to compete: Simon Feasey (8508) and defending champion Jackson Sullivan (61103). They were joined by a compatriot from Robinson’s home town of Geelong in Jarrath Sweetten (8551). Another contender who’d travelled considerably more than the New Zealanders was Germantown, Wisconsin’s John Pecunia (2540). ‘Johnny Rumble’ had accompanied Terry Miller, who was traveling to film the tournament. Chris Finn (37970) has played 106 tournaments on four continents in his 9-year pro career, so when he says that Friday’s Round 1 conditions were the windiest he’s played in, it counts for something. The western fringe of a weather event that had pummeled the entire east coast of Australia with torrential rain, flooding, and dust storms had created a wind that ripped across the surface of Lake Burley Griffin, pushing out perfectly good putts and causing the most overstable discs to turn over. In the interpretive dance of arm-sweeps that usually accompanies the post-round debriefs at tournament HQ, I could also see a lot of head scratching as players tried to explain their discs behavior in the wild breezes. It was Finn himself, in a pre-round interview, who made an eerily accurate prediction. “I think if someone gets away by five or six strokes today, they are going to be really hard to catch,” he said. New Zealand’s Jackson Sullivan driving at the 2018 Australian Championships. It was Robinson who handled the conditions best. “Stabling-up,” throwing backhand and forehand hyzers, and taking birdies on some of the treacherous peninsula holes that were most exposed to the wind, while his competitors struggled for bogey. He took a four shot lead over Sweetten in round one, with Sullivan, Estonian Ken-Krisjan Toomjoe (101606), Tim Marchbank (8518), and Jordan Wheeler (63995) all another six shots back. After that, Robinson was never challenged. Able to relax and choose his lines while the chasing pack had to take risks to catch him, he steadily pulled away as the conditions grew milder over the weekend. Sullivan made a late charge, shooting a 9-under final round to take second place. But with a 15-under final round, there was no catching Robinson. Toomjoe shot an 8-under final round to take third ahead of the group of Sweetten, Finn and Jordan Wheeler (63995) who all shared fourth place. 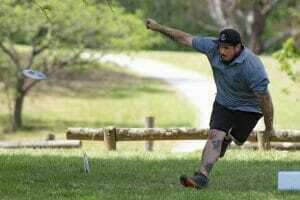 Another disc golfer from Robinson’s home town of Geelong had a similar journey in the FPO competition. Cassie Sweetten (34665) shot 12 throws better than her nearest competitor, Toosje Frequin (78791), after round one and was never threatened. Her chief opponent became the chest infection which had started on the tournament eve and had worsened to the point that she struggled to breathe by Sunday. It was on the final day that this new disc golf course in Australia’s capital city revealed its true beauty. It is set on a peninsula that projects into the lake created by damming the Molonglo river in 1963: all part of the construction of Australia’s new architect-designed, purpose-built city. It has lush, lakeside grassy parkland, stands of pine and cypress trees that give an almost European aspect in places. But in other parts, there are eucalyptus trees with their pale trunks shedding strips of bark and a mob of kangaroos that live on the park to give it an unmistakably Aussie feel. John Pecunia playing on front of a local gallery. Tournament director Todd Nowack and the rest of the local club have worked hard to create this course, the third in the city and the second to be built in the past three years. 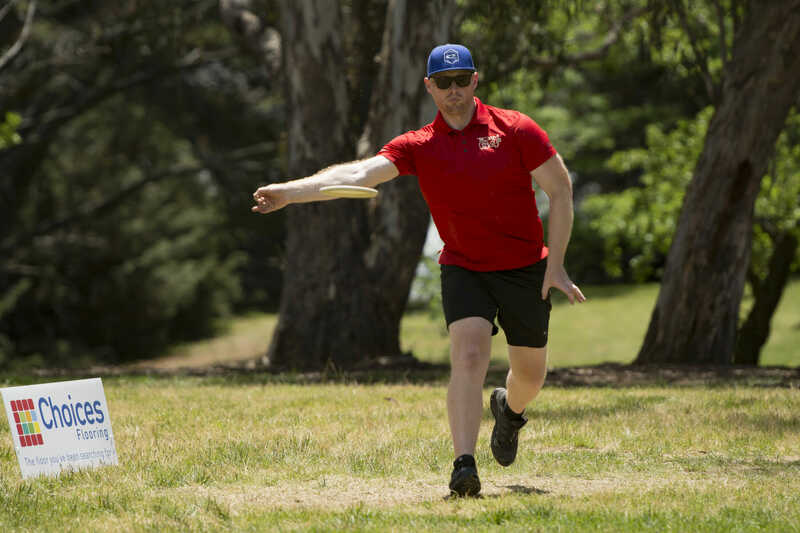 As it reverts to its regular 24 pin layout, it will serve as a venue that will help disc golf continue to grow in Australia. Next year’s Australian Championships will be held in an extinct volcano at the Crater Lake Disc Golf Park in Mt Gambier, South Australia, in November 2019. Comments on "Patty Robinson, Cassie Sweetten Take Down 2018 Aussie Championships"